According to Service Performance Insight in their ‘Professional Services Global Pricing Report’ the growth engine of the world’s economy has shifted from manufacturing to project based, people centric services businesses. As competition hots up in the sector, businesses are struggling to improve their margins to remain afloat. But what strategy do you use? Cut expenses? Increase your rates? Improve productivity? Whatever you decide to do, just make sure it is a balanced approach or you might end up watching your house of cards fall. The report states that in talent based industries, profit comes from the right mix of revenue and costs. People-centric organisations, such as Professional Service firms, have a very high fixed labour cost so the two primary profitability levers are either lowering costs (sourcing strategies, limiting benefits and overhead, virtual business models, travel, training and recruiting) or increasing revenue (higher bill rates, higher revenue per person, higher billable employee utilisation). Up until now, partly due to the Global Financial Crisis, businesses have mostly focused on cutting costs applying a ‘more with less’ strategy to try and get ahead – but that has to stop. The reason that most companies opt for cost-cutting as the major strategy is that they only see limited options to increase revenue with what they have. Without an amazing competitive advantage, you can only increase your bill rates to such a point before you are now uncompetitive in the market and under-utilisation has always been seen as a common business practice that simply had to be managed. So instead, businesses looked for better deals for their procurement (by reducing the diversity of their suppliers), cut employee benefits (while trying to make it look like they will be better off in the long run), cut work travel (so business development teams had less face time with customers) and ultimately reduced their number of employees for ‘efficiency’. All these measures are from short-sighted thinking in the hope that the tide will turn and they will live to fight another day. 1. Automate manual systems to improve productivity and reduce admin costs. With tech advancing the way it is, you need to make yourself aware of what is out there. Many platforms offer free accounts on the basic package like Hubspot which provides a free CRM. And yes, you might actually be able to cut staff numbers but it will be in the right areas. 2.Improve Employee Utilisation. The Professional Services Maturity Benchmark report states that employee underutilisation is sitting at a global average of 27%. In fact, I have seen companies sitting at closer to 40% underutilisation yet nothing is done about it! That means that this is by far your greatest profit lever available to you. 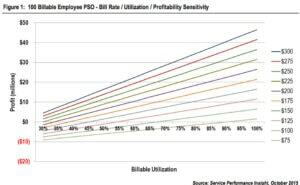 Figure 1 provides a guide to balancing billable rate and utilisation. At a rate of $150/hr, by increasing utilisation by 20% it would increase firm profit by close to $7m! Not only that, you will have the staff on the books for when the next contract comes in. Companies like BenchOn are purpose designed to support you in this. 3. Review your marketing plan. Marketing is a big cost but not one that should be cut to save costs. Instead, make sure your marketing is targeted at the right areas, review ROI, critically review the media used and make adjustments. Marketing will bring you customers and therefore more contracts so stopping it to save dollars is foolish. 4. Create free publicity. Media outlets are screaming out for news stories so write one. Create a campaign or target an issue that affects your client base. Publicity for Profit run regular seminars on how to get more news coverage for your business. Do what you need to, to get your service being talked about. This list is not exhaustive but it is clear that cost cutting is not the panacea for saving your business. Keep your ear to the ground to keep up to date with new methods and strategies and always keep an open mind. Join the conversation now to help out your fellow business owners! ← The QLD Government shows complete lack of understanding of how Industry operates.